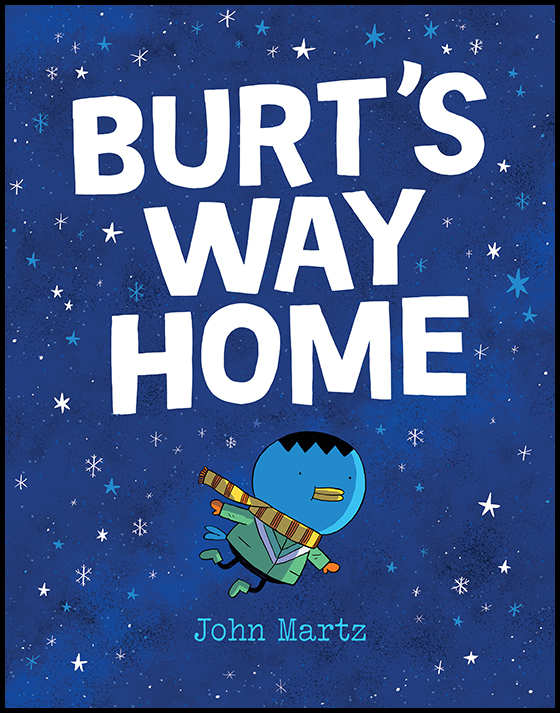 Burt’s an orphan, but no regular orphan; he’s an orphan of time and space after a cosmic accident left him stranded on earth, or so he says. Lydia is an older person who has adopted Burt. Together they tell a tale of home and belonging from two different perspectives. JOHN MARTZ is a cartoonist and illustrator in Toronto, ON. His book, A Cat Named Tim and Other Stories, was shortlisted for The Governor General’s Literary Awards and was nominated for the Eisner Award for Best Publication for Early Readers (up to age 7).